Typical house Creusoise independent on unenclosed ground, located at 1 km of the leisure base of Jouillat arranged on the river "Creuse". 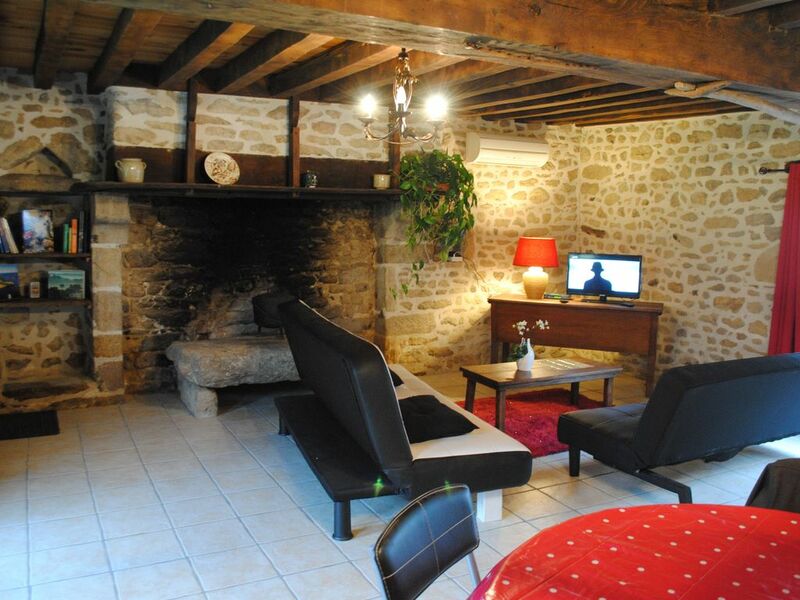 This cottage is classified 3 stars furnished with tourism. The house with a capacity of 4 people, on 2 levels, comfortable, consists of a main room on the ground floor with kitchen / living room. Upstairs, bedroom 1 (1 bed 140), bedroom 2 (1 bed 120 and 1 bed 90), bathroom and separate toilet. Equipped with tv, washing machine, microwave, oven. Free equipment: cot, changing table, high chair, pot. Loan of board games, books. A deposit of 200 € is requested on arrival and returned on your departure. Village located 10 minutes from all shops. 5 minutes, zip line, mini golf, 1 tennis court, 1 petanque, pedal boat rental / canoe and supervised swimming in July / August. Ideal site also for the fishermen, stream of 2nd category with hiring of boats possible on reservation. Restaurant. Discover the Monts de Guéret, and the Creuse: many tourist sites to discover: the Loups de Chabières animal park, the giant labyrinth, museum, gardens and castles, not forgetting the international city of Aubusson Tapestry. Zipline, canoe rental / pedal boats / boats. A mini golf, a petanque field.